After previously working with Crack on their Bjork In Focus piece, Zubr have created the interactive content using the recently updated Apple AR Kit 2.0 – which pushes the boundaries of Augmented Reality even further. Within the issue is a 10 page segment centered around a rare interview with Richard D. James, better known as Aphex Twin, as well as artwork from his visual collaborator, Weirdcore. In the first of its’ kind, Zubr collaborated directly with Weirdcore to turn his existing 3D scans & upcoming EP artwork into an augmented reality app. Users can now experience Weirdcore’s optical distortions on the magazine in 3D. Understandably chuffed about getting a rare interview with one of the most elusive electronic musicians on the planet in the bag, the Crack team have decided to go whole hog on this one, working with both Weirdcore (who designed it) and Bristol studio Zubr (who built it) on an augmented reality app which promises to bring the magazine cover to life. To celebrate this interview with one of the most elusive electronic musicians, Crack have planned a month of related content – starting out by hiding sneak peaks of the launch in over 100 locations worldwide, with the help of Landmark. On top of this, Zubr also developed a bespoke Facebook Filter that can be accessed through the Crack Magazine page. 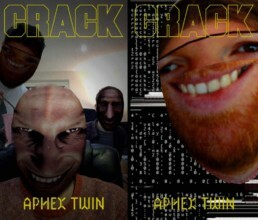 With the filter activated, Facebook users will be able to augment Aphex Twins’ uncanny aesthetic straight onto their faces. The interview can be found on Crack Magazine’s website, with the physical magazine expected to disappear fast from the usual venues across Europe. For those lucky enough to get their hands on the issue or poster, the AR app can be downloaded from the App Store and the Play Store. The fiery surface of Venus awaits visitors to the Eden Project’s Expedition Space event running now and throughout the summer as part of a cutting-edge virtual reality (VR) experience. Eden has worked with Bristol-based VR studio Zubr to create the thrilling experience just for Expedition Space. Zubr have previously worked on projects for clients including Aardman Animations and the team behind the Bloodhound SSC land speed record challenge. The Eden experience is designed by a BAFTA-nominated VR designer and immerses visitors in the breath-taking vistas and sounds of Venus, taking them on a perilous journey from a base to a rocket ready to take off. On the way they explore caves on the planet’s surface and traverse a perilous bridge over molten lava flows. Players wear VR headsets and move through the game world by walking through a purpose-built area in real life. They hear a bespoke soundscape with bubbling lava and rumbling rockets which changes as the player moves through the world. This is the first time Eden has hosted a full immersive VR experience. 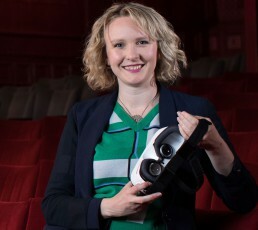 In the past Eden has hosted 360 degree films through VR headsets, but this new experience is fully interactive and has been designed especially for Eden. Some of the technology it employs has only become available in the last few months. Zubr was formed three years ago by a team of people with a background in TV visual effects and video games development. Their team have worked on many VR and AR (augmented reality – a similar technology where computer-generated elements mix with the real world) projects for various clients. Expedition Space is the ultimate space adventure holiday starring a Mission to Mars, mini-golf on Mercury and a daring slide down the surface of a moon. The VR experience costs £5 per person in addition to the main Eden Project admission fee. 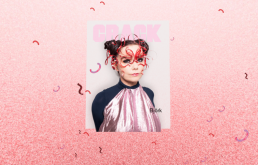 Today, we’ve very proud to unveil a neat little project we’ve been working on with Yadda and Crack Magazine as part of Bjork in Focus. It’s a simple but powerful immersive environment where you can look around at some exclusive content from this month’s Bjork features in Crack Magazine. To create the virtual environment, we created custom artwork to fit with the Crack magazine’s cover feature of Bjork – including a seamless 360 cubemap and meticulously dimensionalised key images. The experience was built using Zubr VR and Yadda’s awesome new Enso Experience platform, which is a versatile, CMS-controlled system for creating great VR content that works right in the browser. Crack Magazine also made custom Cardboard viewers to go alongside the experience! Head over to our Bjork’s Future project page to check out some screenshots, or click here to go straight to the experience itself (that’s right – no app to download).